In large glass bowl, stir together the wines, water, and sugar until sugar dissolves. Add lemon and orange slices; cover with plastic wrap. Chill 3 to 4 hours to develop flavors. Remove orange and lemon slices; pour mixture into 8x8-inch glass baking dish. Cover with plastic wrap. Freeze 4 hours or until firm. 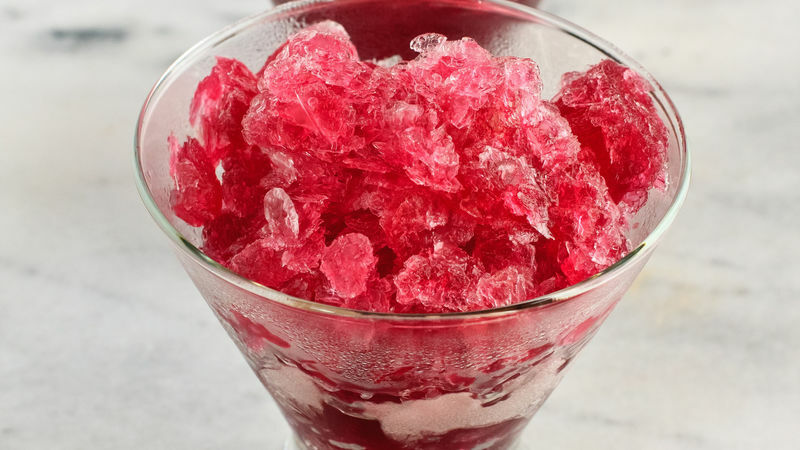 When ready to serve, use tines of a fork to shave surface of frozen granita; spoon into bowls. Serve immediately. You can make granita several days ahead; after grating, freeze in airtight container. The recipe can be doubled easily; pour mixture and freeze in 9x13-inch glass baking dish.